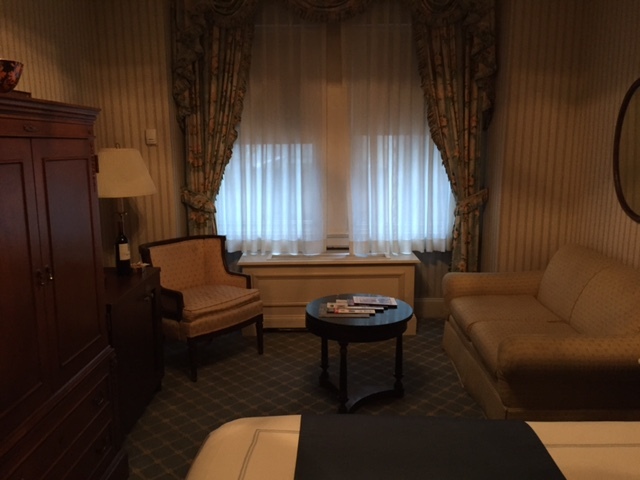 When my husband and I got away for a weekend getaway, we had the pleasure of staying* at a beautiful hotel called Hotel Elysee. This wonderful boutique hotel is part of the Library Collection Hotels, along with Hotel Giraffe, Casablanca Hotel, and The Library Hotel. Each of these destinations are unique and beautiful in their own way, welcoming their guests wholeheartedly and making them feel at home. 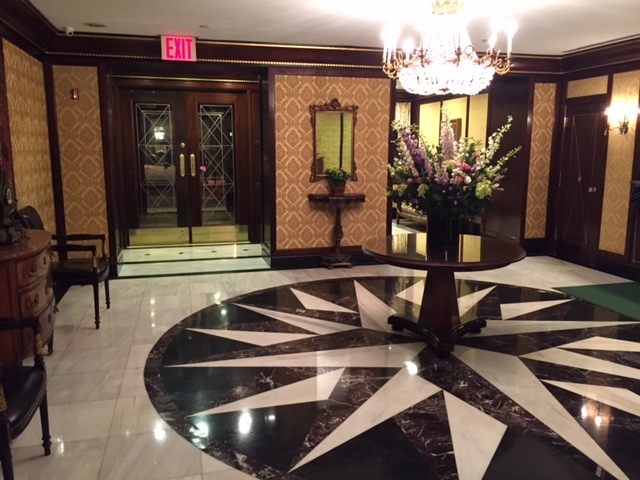 Located at 54th and Madison Avenue, Hotel Elysee is the more formal of the collection, with an elegant European flair. Walking into the lobby of the hotel, I immediately knew that this hotel would be incredible. Upon arrival, the staff was absolutely wonderful and attentive. Our room was very spacious and comfortable. 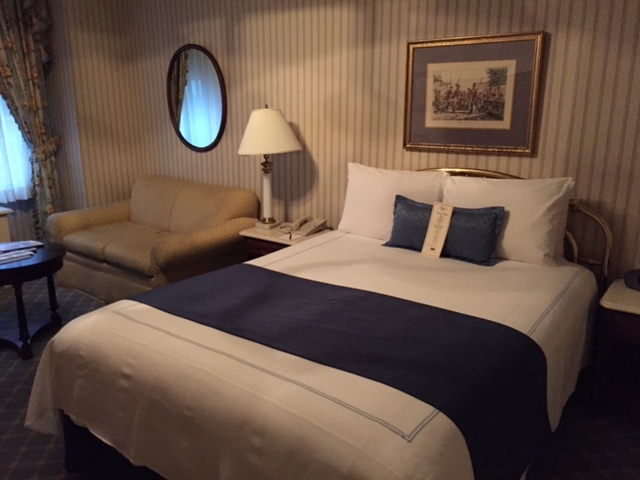 Our bed was perfect to lay down on after a fun day in the city, allowing for a very restful night’s sleep. 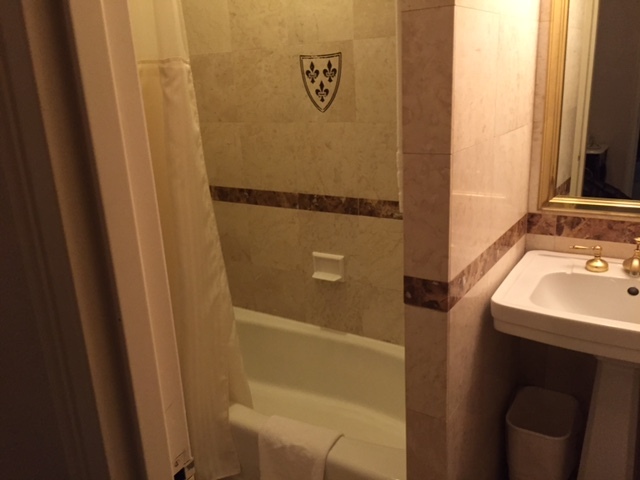 The hotel was very quiet and in a fantastic location, so close to Rockefeller Center, shopping, and dining. 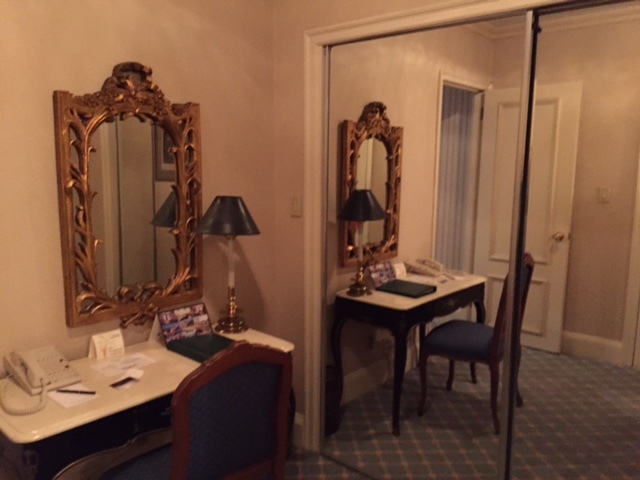 I love that our room was divided into three areas, the bedroom with living area, a separate dressing room with closet and desk, and then the bathroom. 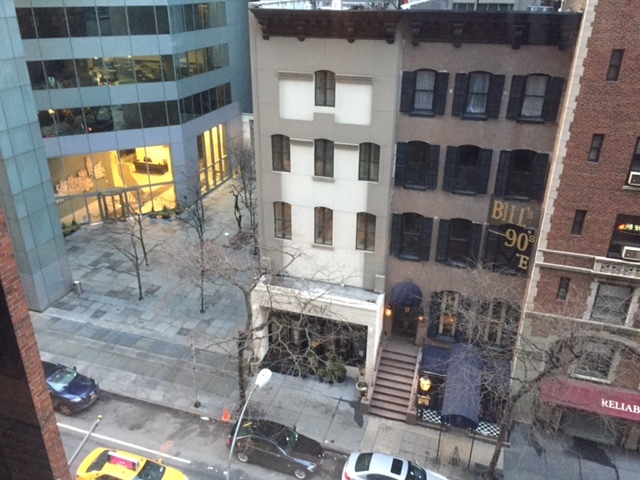 We had a great view of New York City from our hotel room, which is always a bonus when staying at a hotel in the city, as they aren’t always easy to find. *we were invited to stay at the hotel to facilitate a review. All opinions are my own.